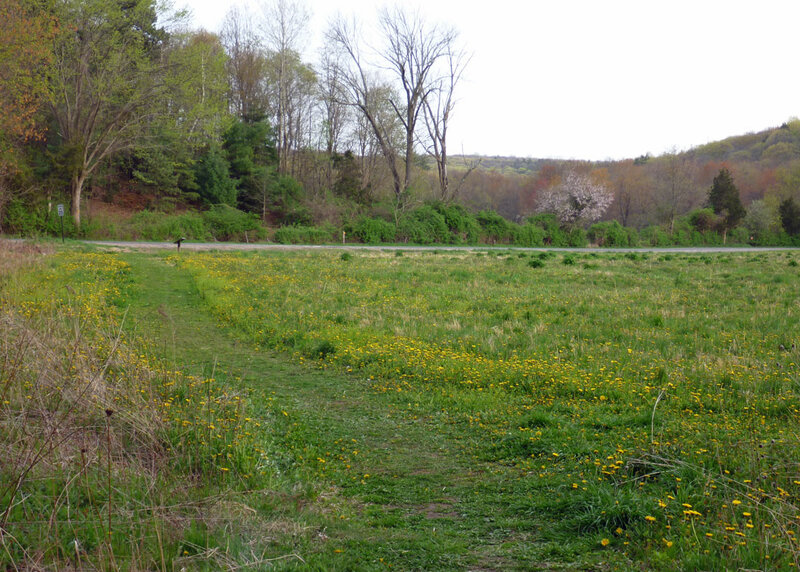 Perhaps not a garden in the traditional sense, the Wildflower Meadow on Bread and Milk Road is part of the CT Department of Energy & Environmental Protection's (DEEP) Belding Wildlife Management Area. Loss of habitat is the biggest threat facing wildlife as in recent years over 95% of our wildflower meadows have disappeared. 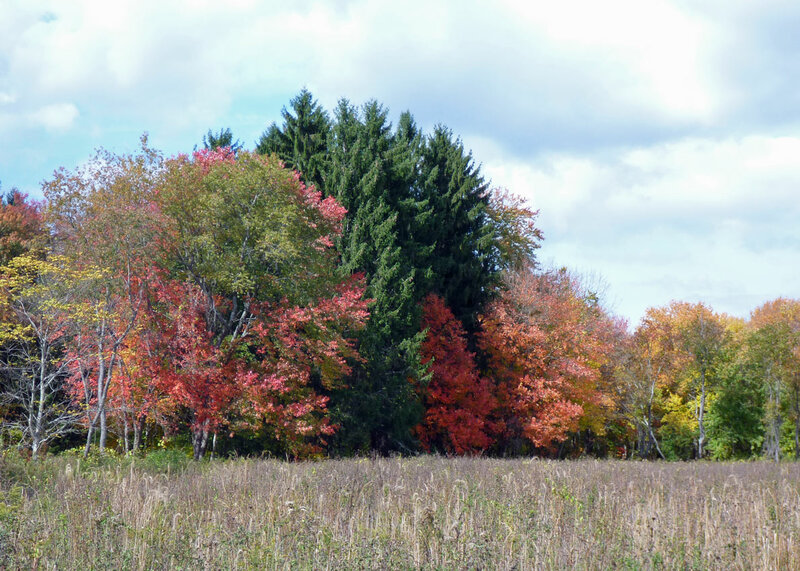 Belding WMA provides a variety of habitat types, including fields, forest, and wetlands. 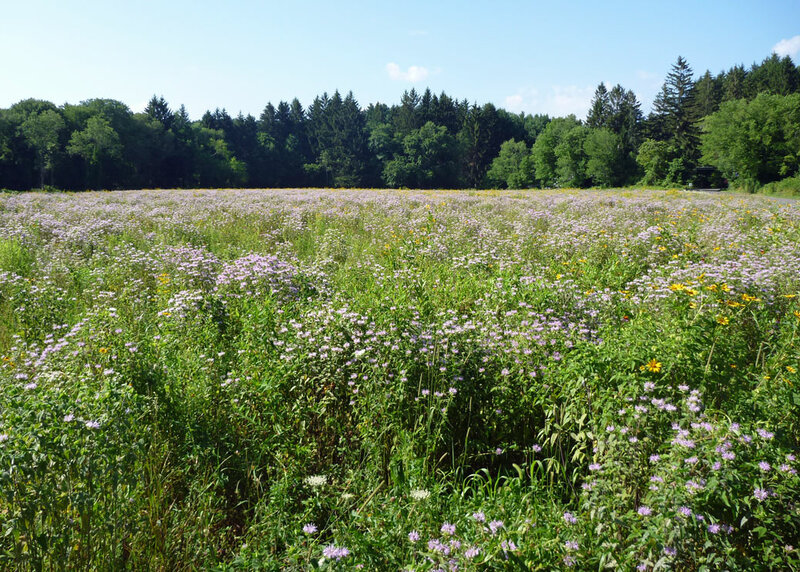 In 2008 four acres of wildflower seed were planted to start the project under the direction of JANE SEYMOUR, who is a technician for the Wildlife Division's State Lands Management Program. 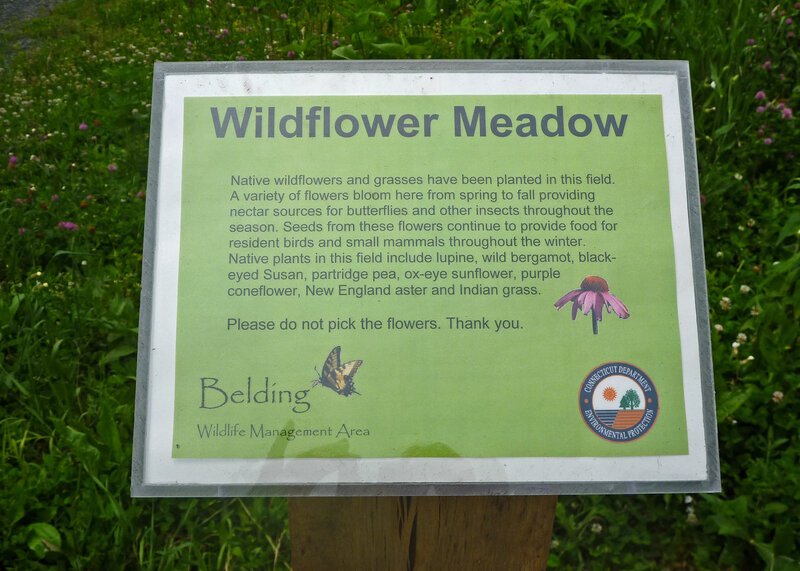 As described on the informational signs in the meadow: "Native wildflowers and grasses have been planted in this field. A variety of flowers bloom here from spring to fall providing nectar sources for butterflies and other insects through the season. Seed from these flowers continue to provide food for resident birds and small mammals throughout the winter. 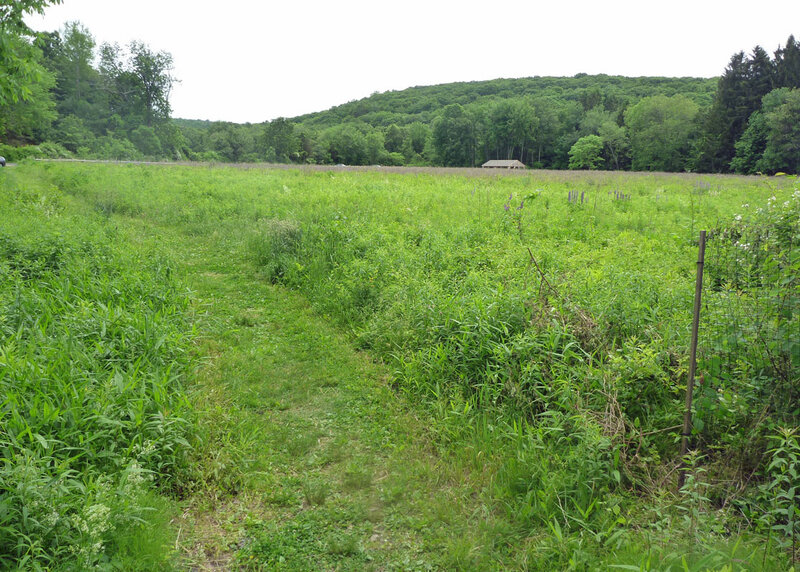 Native plants in this field include lupine, wild bergamot, black-eyed Susan, partridge pea, ox-eye sunflower, purple coneflower, New England aster and Indian grass." 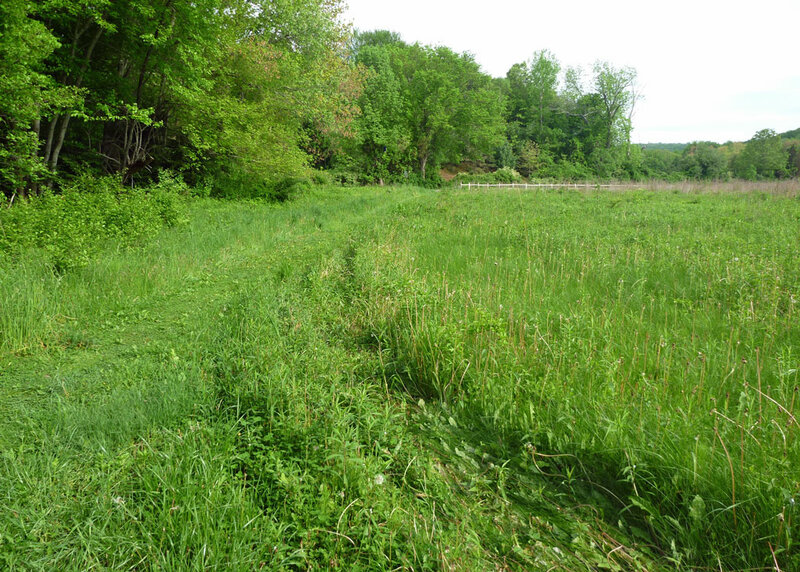 The meadow is mowed every other year to prevent brush and trees from developing. 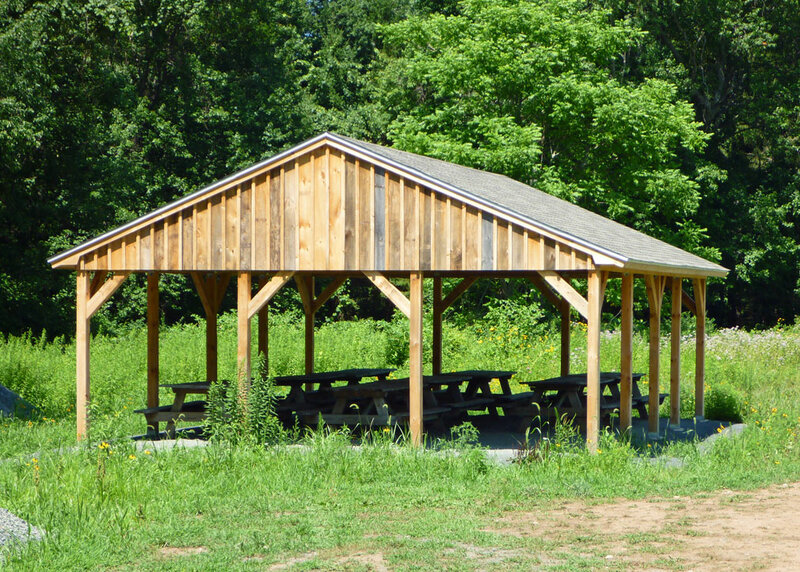 In 2010 a pavilion was added and a post-and-rail fence installed along the edge of the field. The pavilion is used for education. Programs offered at Belding WMA include seasonal walks to learn about the plants and animals that can be found at the area including many summer programs for children. School groups also use the Belding WMA as an outdoor classroom, and to learn about habitats and the species that depend on them. 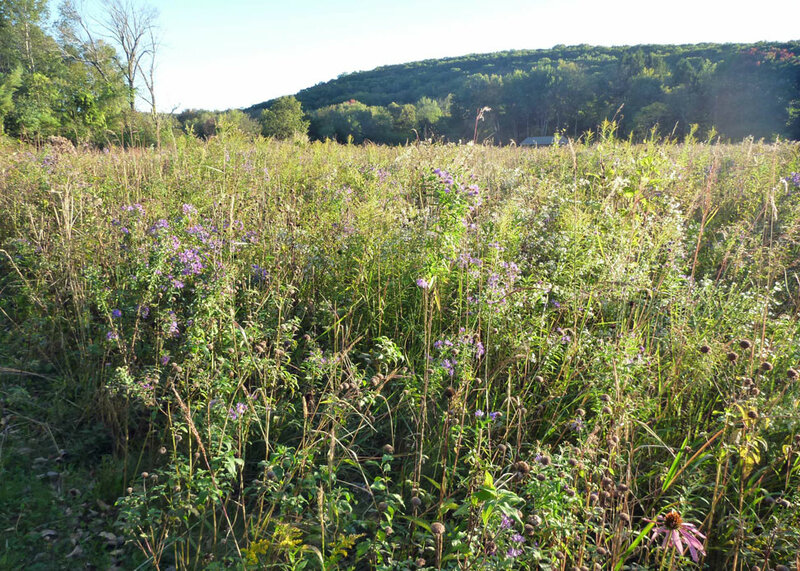 » Read Jane Seymour's article on the meadow in Connecticut Wildlife, page 10. The meadow is located at the confluence of three streams. The Railroad Brook coming from Valley Falls is on the south side, the Belding Brook on the north side follows Bolton Road with both joining the Tankerhoosen River as it flows along the west side of the field. Parking for this and other sections of the Belding WMA is located at the meadow on Bread and Milk Road and a path on the north (Bolton Road) side leads to a bridge over Belding Brook to hiking trails along the Tankerhoosen River. 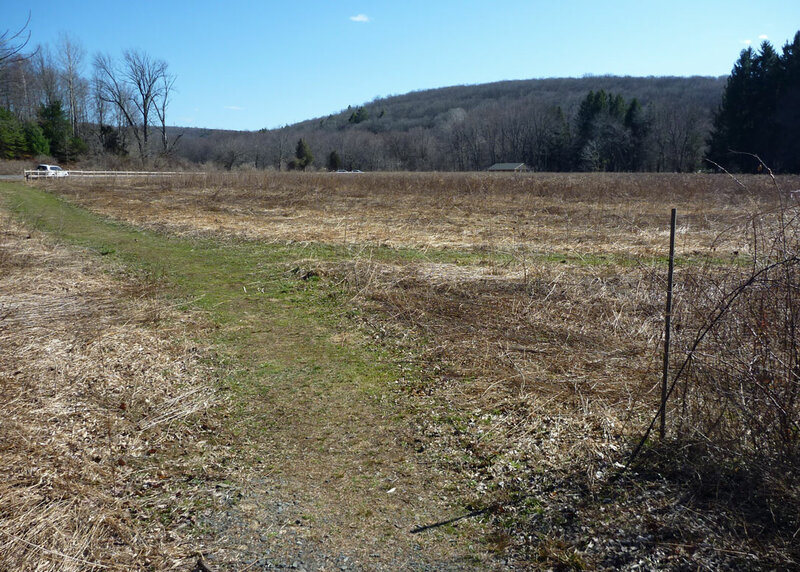 There is also access to rough trails along the Railroad Brook and Tankerhoosen River to the south and west edges of the meadow. 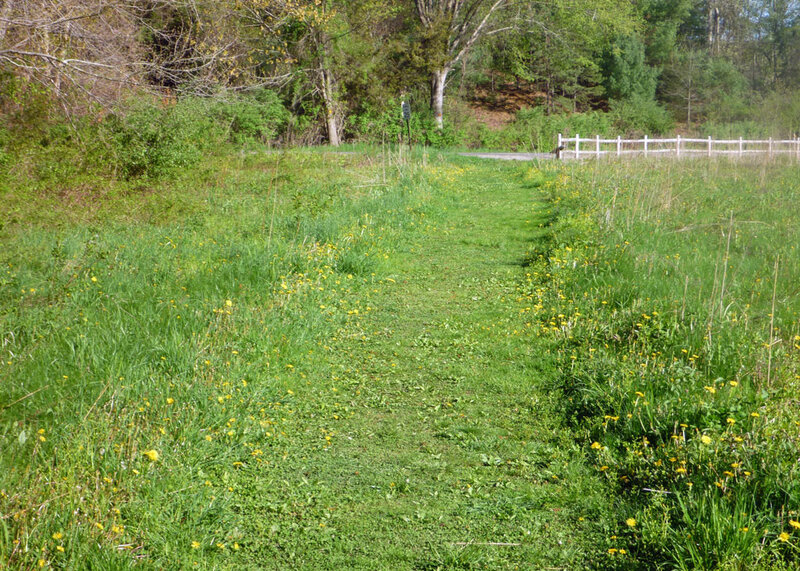 A rough trail also circles the field. » For more information on wildflower meadows. 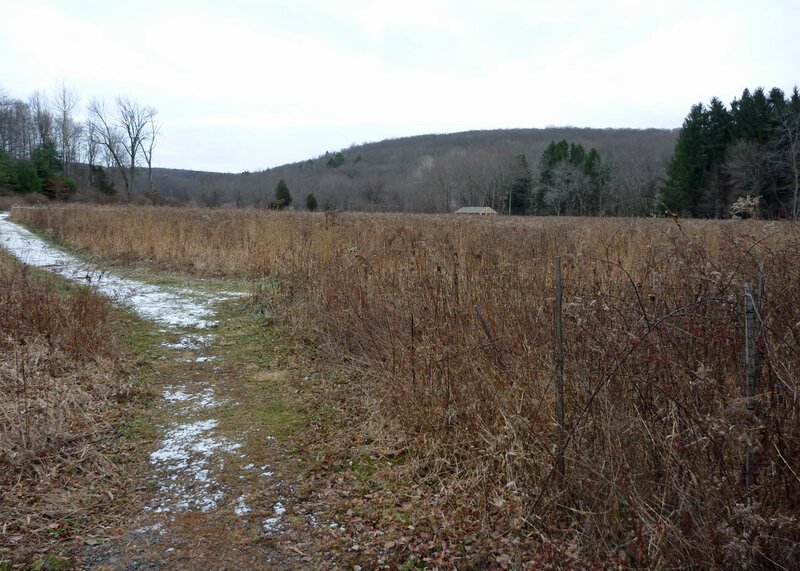 The photos below reflect the changing meadow from early April through December. In the spring purple lupine fill the meadow. July brings the most color and vibrancy, but each season is different with a variety of colors, flowers, seeds and textures. In September aster will take over the field as thee summer blooms turn to seed.